The Netlog business unit is responsible for the management of the group-wide equipment pool including all tank containers and IBCs. In detail Netlog is responsible to build new equipment, to develop equipment concerning the requirements of HOYER’s customers and to keep the fleet in proper condition (maintenance & repair management). Cotac, as part of Netlog, is a neutral service provider for tank cleaning facilities, workshops and empty container depots located in centres of the European chemicals industry. We are seeking for a Global Sales / Business Development Manager for cotac with strong general management skills and solid experience in the technical logistics and specifically have a network in the cleaning business. In this role you will ensure an efficient task fulfilment by an appropriate structural and process organisation. The area of responsibility is Benelux, France and Germany (Skopau, Hamburg, Mannheim and Dormagen). The role will also involve identifying new business opportunities, winning new businesses and liaising with operational teams to ensure service requirements are delivered, all with focus on our cleaning activity. You will work in the cotac Management Team and have travel throughout Benelux, France and Germany. In this position you will report directly to the Managing Director Cotac Global. You should be able to work effectively in a cross-functional matrix organisation. Promote and sell the organization’s products and services within their region. Establish annual, quarterly and monthly sales plans and priorities in support of objectives and schedule own activities so these targets are met. Develop in-depth relationships with existing and new customers in their region. Gather competitive intelligence, particularly regarding competitor activity, and competitive products and their performance. Pursue sales leads; communicate information about the company’s products; build goodwill to educate the actual or potential user; assess customer needs and suggest appropriate products, respond to customer inquiries; negotiate prices and delivery times within limits of authority; and negotiate and finalize contracts/sales orders to meet revenue targets. Determine customer issues and coordinate assistance. 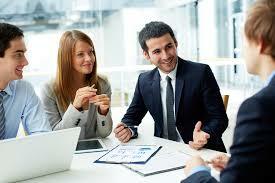 Communicate customer feedback and customer forecast to appropriate contacts within the organization. Assist in devising and implementing pricing strategy. Assist in identification, development, and commercialization of new applications for established and new products. Competencies: change management, persuasiveness, negotiation, innovation and problem solving. Excellent knowledge and fluency in English. German and Dutch are preferred.